With autobahns involved distance is no object, unless you're taking public transport, then you have failed. Nah, new entrance is for next year (unless plans have changed recently?) - all one major development! Apparently there's going to be more details / concept art revealed later this month. There's also rumours that the new area could be themed around King Arthur / general castle and knights theme, which would be exciting and interesting for the park. The aforementioned potential 'new details' day is Tuesday, when the park are presenting at EAS. Dragon / castle / knight theme seeming more and more likely, which would be a lovely fit for the park. I'm so excited for this in case you couldn't tell. Truly fantastic investment from the park. I think it's time to break Baron's chain of consecutive posts. Honestly this could well and truly put the park on the map, especially considering the scale and level of investment being put out here and being fairly to two other major parks will probably help them too. The boat ride is believed to be the park's first dark ride which is very exciting news. Mack rides will be the manufacturer. The IMA score music like always is impressive and has some similarities with Mystery Of Hocus Pocus Hall and Klugheim. The boat ride is largely outdoors. It does have an indoor section (I think it starts or/and finishes inside) though. The Avalon area will also include a new a la carte restaurant called The Flaming Feather. I'm no ride designer but could you have done a drop like this so it's a bit more exciting than what is being built. Couldn't you have had a small drop into a corkscrew to the right before going to the typical wing coaster drop? It would probably be more forceful and if course look far more interesting. Wing over drops (or should that be The THORPE PARK Inversion? ) need to be taken at a slow speed, otherwise they'll be uncomfortable and create awkward amounts of g-force. Lost Gravity has a very similar style inversion mid-way through the ride (even though it's not a wing rider), and there's a MCBR before it which basically brings the car to a halt for it. So that's why they can't really do anything dramatic prior to the drop. Remember that though the wing over drop is common on wingriders, in their own individual locations, they are special, they are a visual spectacle and they are exciting and different. Though Heide Park is nearby with Flug, this will still be unique enough for 98% of guests. So it's completely fine there. Also, B&M wingriders aren't really rides that are designed to be forceful. They are there for graceful, drawn-out elements that look as-good-as (if not, better than) they ride. Though there's nothing stopping a park wanting to get a forceful wingrider, it is unlikely to happen. Though it is true that this offers little different compared to all other wingriders. Don't really enjoy Toverland as a park and don't care much for B&M Wingriders, so I'll chalk this one up to meh. I'll wave at you lot from Troy. Those views of seeing Troy upon entering look excellent. This park is certainly growing to became a Magic Land. It's been revealed that Avalon and the new entrance is now going to require an extra €5m investment to get everything to standard. That means this is now a total investment of €35m (approx. £31m), the same as Symbolica at Efteling. Mental really. Also Symbolica only cost around £31m? Only slightly more than DBGT? 'Only' €13m is going to be spent on the coaster. Majority of the investment is going into infrastructure and theming. First hearing of the audio of Avalon. 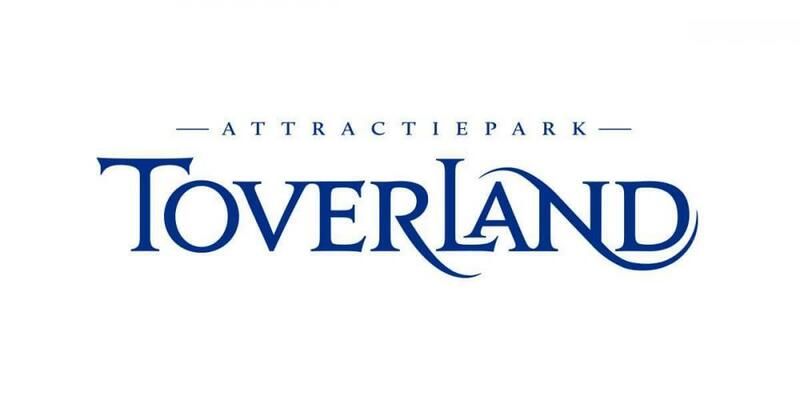 Toverland have revealed that their new logo. Personally, I don't like it; feels very corporate and bland. Didn't need to change what they had really. Yeah, not digging that very much, preferred old one. Still miles better than Thorpe's current attempt though! Looking at that for 10 odd minutes during the IMAbore trailer really highlighted how crap it is.